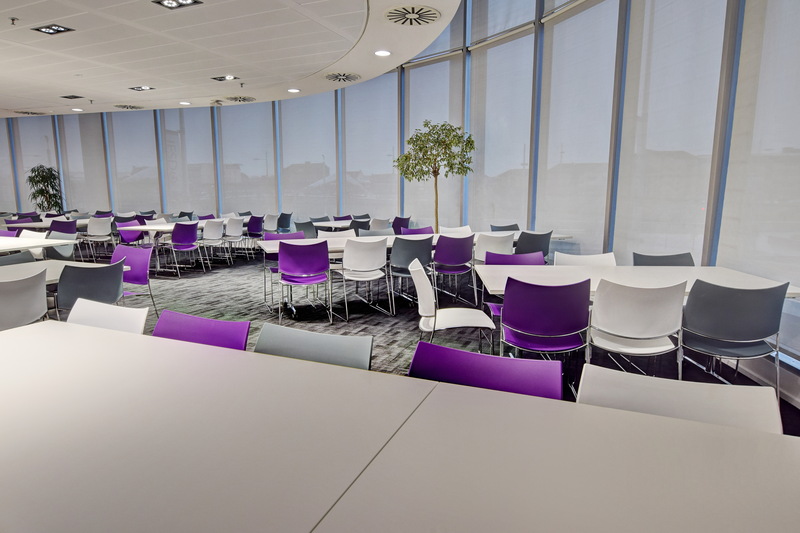 Scotwood carried out a two-year project for Mitie and the Scottish Government, which involved the fit out of seven floors of Atlantic Quay - where the Government has its Glasgow premises. 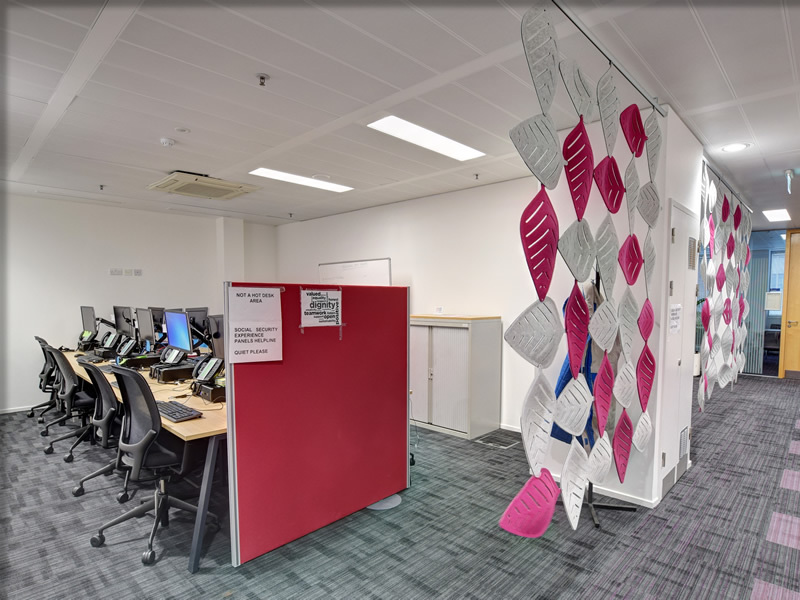 The offices were designed using the Smarter Workspace (SWS) model which aims to support people to do their best work in a highly collaborative and productive way. 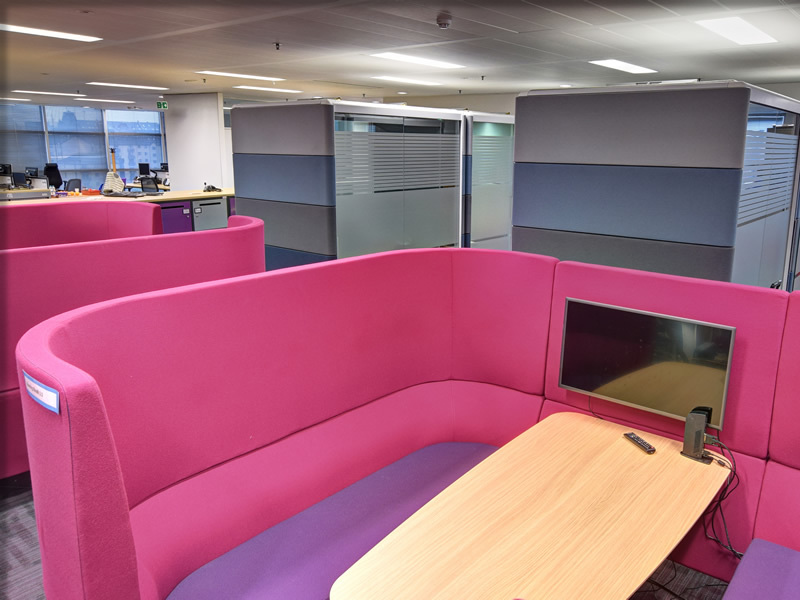 This includes more efficient use of office and meeting space and increased site occupation - saving power, lighting and property overheads. 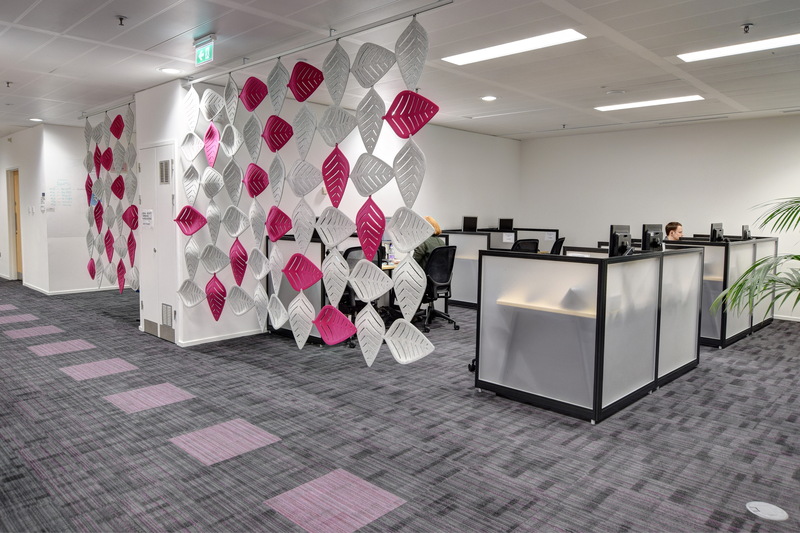 A project manager from Scotwood, was located on-site through-out its two-year duration to oversee the phased refurbishment of seven floors, which included the demolition of non-load bearing partitions, construction of new partitions, new tea prep areas, alteration of services to suit new layouts, new flooring to suit new layouts and decoration. 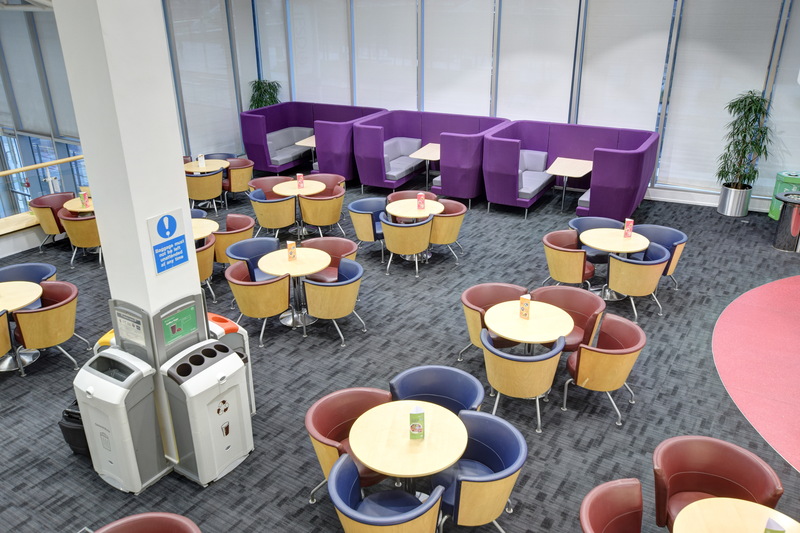 The canteen and break out areas were refurbished and the toilets on each floor were also refurbished while new unisex toilets were introduced to the Upper Ground floor. 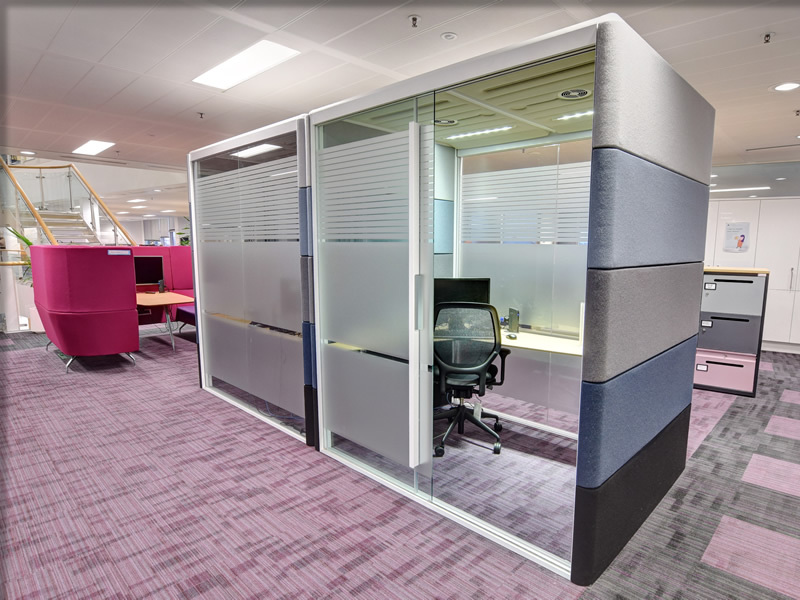 Office Fit-Out in Glasgow from Scotwood Interiors.